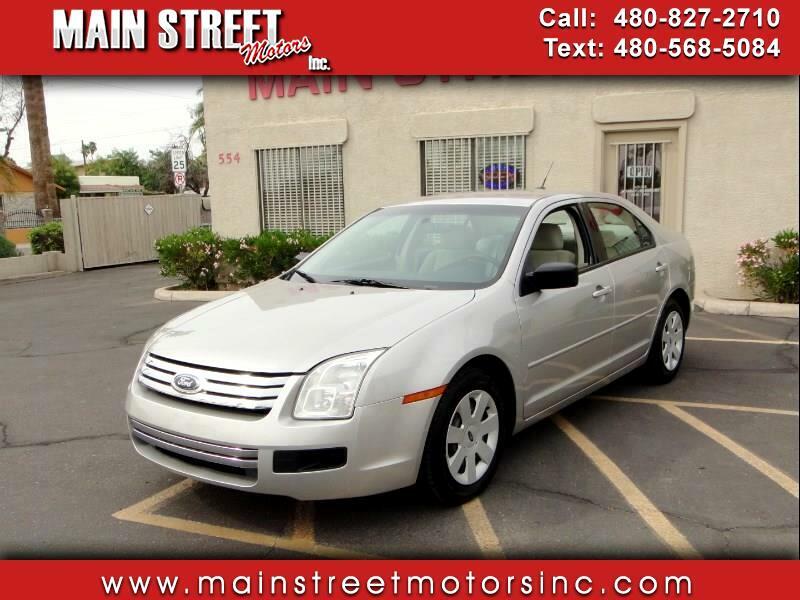 Buy Here Pay Here 2007 Ford Fusion S for Sale in Mesa AZ 85201 Main Street Motors Inc. This super nice, one owner Fusion has been well maintained. The Carfax report shows no accidents or damage. The body has no dings or damage, and the paint is very glossy with no major scratches or chips. The cloth interior is extra clean with no abuse, only minor wear on driver's seat edge. This car has four new tires, and it runs and drives as good as it looks.